Tree Top Trails is a playground in Jungala at Busch Gardens Tampa. While it's not the best, it is also recommended. 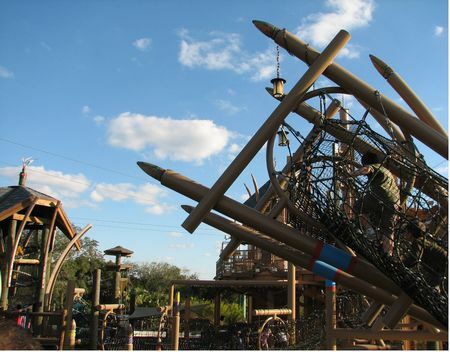 Treetop Trails is a new 3 story play area with bridges, climbing nets, crawl tubes and a maze. The bridges provide nice views of the different animals in Jungala as well as a great view of Wild Surge(another attraction in Jungala).